DataCAD is a professional-level, AEC CADD program for architectural design, photo-realistic rendering, animation, and construction document creation. 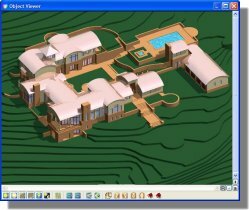 Developed by architects and software engineers for architecture, DataCAD includes tools that make design and drafting easier, such as automatic door and window insertion, associative dimensioning and hatching, automated 3D framing, Teigha-based DXF/DWG translators, and DCAL an applications development language for third-party developers. 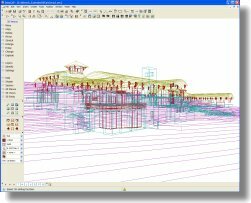 DataCAD is now listed as the second most widely used software by architects according to the most recent American Institute of Architects (AIA) firm survey. DataCAD is available for Windows 7, 8, and 10. FOR THE ARCHITECT . . .
DataCAD allows you to draft, edit, and prepare precision construction documents. More than just a drafting tool, DataCAD includes automated 3D modeling, and photorealistic rendering tools that put you ahead of the competition. You control the lighting, cast shadows, and apply texture maps to create compelling, 24-bit color images of your latest design. Visualizing a project in advance allows you and your client to save time and money by agreeing on changes earlier in the design process. FOR THE CONTRACTOR . . .
Load DataCAD on your laptop and take it right to your building site. It has special features for builders and contractors to help you increase productivity and improve quality. For example, DataCAD’s built-in framing utility automates 3D framing for floors, walls and roofs. You actually see the software "walk around" building walls, and locate stair, door, window, and skylight openings.